Conflict Resolution – Rabbi Sacks’ new ‘Covenant & Conversation’ commentary on Mattot for 5774 Email not displaying correctly? View it in your browser. Separate the people from the problem. There are all sorts of personal tensions in any negotiation. It is essential that these be cleared away first so that the problem can be addressed objectively. Invent options for mutual gain. This is the idea expressed halakhically as zeh neheneh ve-zeh neheneh, “Both sides benefit.” This comes about because the two sides usually have different objectives, neither of which excludes the other. Insist on objective criteria. Make sure that both sides agree in advance to the use of objective, impartial criteria to judge whether what has been agreed has been achieved. Otherwise, despite all apparent agreement the dispute will continue, both sides insisting that the other has not done what was promised. Moses does all four. First he separates the people from the problem by making it clear to the Reubenites and Gadites that the issue has nothing to do with who they are, and everything to do with the Israelites’ experience in the past, specifically the episode of the spies. Regardless of who the ten negative spies were and which tribes they came from, everyone suffered. No one gained. The problem is not about this tribe or that but about the nation as a whole. Second, he focused on interests not positions. The two tribes had an interest in the fate of the nation as a whole. If they put their personal interests first, God would become angry and the entire people would be punished, the Reubenites and Gadites among them. It is striking how different this negotiation was from that of Korach and his followers. There, the whole argument was about positions, not interests – about who was entitled to be a leader. The result was collective tragedy. Third, the Reubenites and Gadites then invented an option for mutual gain. If you allow us to make temporary provisions for our cattle and children, they said, we will not only fight in the army. We will be its advance guard. We will benefit, knowing that our request has been granted. The nation will benefit by our willingness to take on the most demanding military task. Fourth, there was an agreement on objective criteria. The Reubenites and Gadites would not return to the east bank of the Jordan until all the other tribes were safely settled in their territories. And so it happened, as narrated in the book of Joshua: Then Joshua summoned the Reubenites, the Gadites and the half-tribe of Manasseh and said to them, “You have done all that Moses the servant of the Lord commanded, and you have obeyed me in everything I commanded. For a long time now—to this very day—you have not deserted your fellow Israelites but have carried out the mission the Lord your God gave you. Now that the Lord your God has given them rest as he promised, return to your homes in the land that Moses the servant of the Lord gave you on the other side of the Jordan. (Joshua 22: 1-4) This was, in short, a model negotiation, a sign of hope after the many destructive conflicts in the book of Bamidbar, as well as a standing alternative to the many later conflicts in Jewish history that had such appalling outcomes. Note that Moses succeeds, not because he is weak, not because he is willing to compromise on the integrity of the nation as a whole, not because he uses honeyed words and diplomatic evasions, but because he is honest, principled, and focused on the common good. 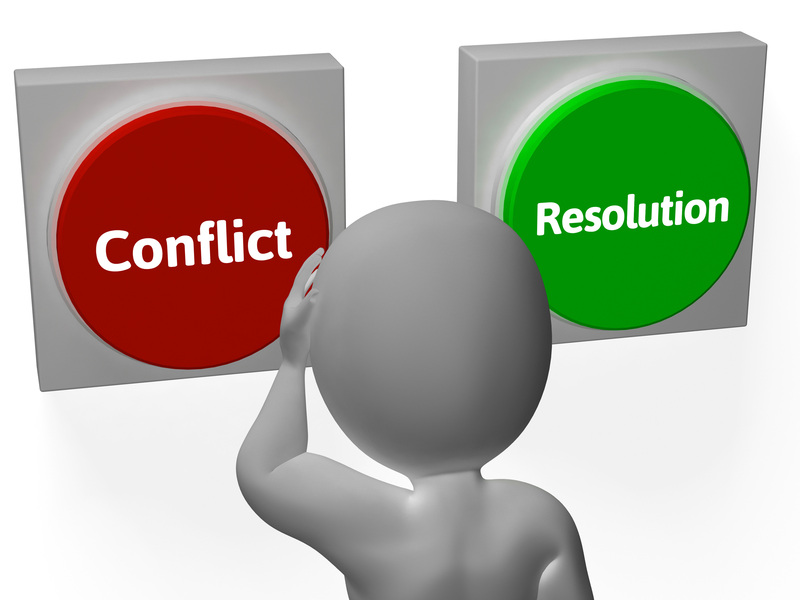 We all face conflicts in our lives. This is how to resolve them. Roger Fisher and William Ury, Getting to Yes: Negotiating Agreement Without Giving In, Random House Business, 2011.